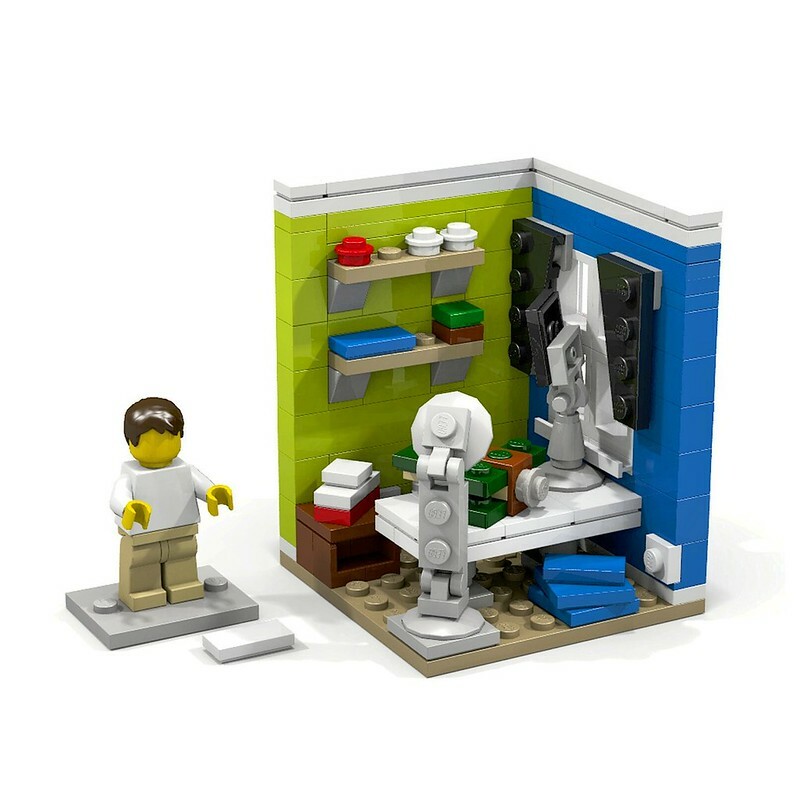 This model is based on Jason's studio from 'The Brick Show.' It features all the main details such as the the lime green and blue walls, white desk with a Sopwith Camel set and an IPad stand, white stool, three LEGO City boxes on the floor, brown storage unit with a Volkswagen T1 Camper Van, Two shelves with two baseballs, LEGO apple, 'Buzz and Woody To The Rescue' set, Minecraft Micro World and one Brick Show sticker. The Jason minifigure needs printing of 'The Brick Show' logo as well as on the two 'Flat Tile 1x2.' It's not necessary but I feel the IPad should have a sticker to show the screen and the LEGO City and Toy Story boxes. Any other graphics will take away the charm of this '8x8 Vingnette' concept. Awesome. I'd say that I like Stephen's just a little bit more, but perhaps it is because of the colors. Don;t get me wrong though, this is amazing! And although not accurate it would've been cool to see the 2 vignettes connect together kind of like Lego's old Christmas promotions from a few years back.